This book covers the seven regions; the vast and diverse landscapes, a discovery of the culture and heritage in this beautiful country. It allows its readers to submerge themselves in the principal regions and how the traditions of the country and its people play a large influence in the Gastronomy of Guatemala. 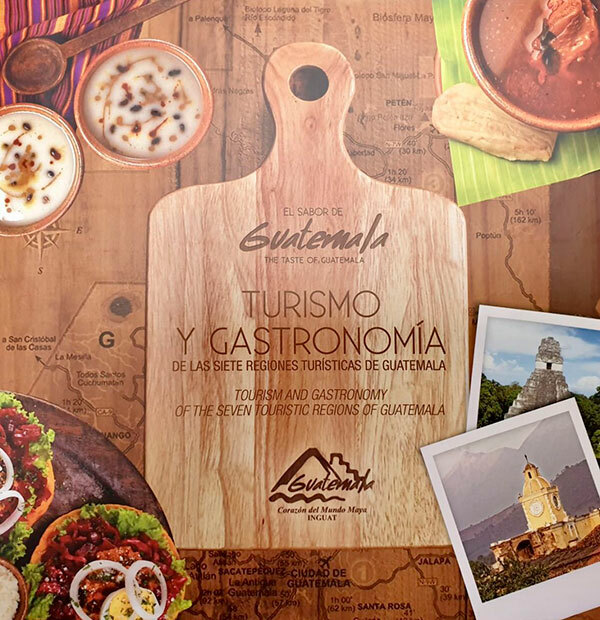 Guatemala is deeply influenced by the ancient culture of the Mayans and the arrival of the Spaniards created a unique gastronomy. One of the many vibrant cities to offer this authentic cuisine is Antigua- a small picturesque city designated a UNESCO World Heritage site, surrounded by volcanoes and well-known for the preserved Spanish Baroque influenced architecture. Take a stroll down the cobblestone streets and discover an innovative fusion of cultures in authentic Guatemalan cuisines. A must-try is the national dish, Pepian, a rich meaty spicy stew, a merging of Spanish and Mayan influence. A time out for an espresso is necessary as Guatemalans have over 150 years of coffee roasting experience.